and we are all exposed to them, suffering more than we would like. we have more or less clear protection systems which we could utilize to stay free of these awkward pests. we must point out that insect repellents prevent stings of stinging insects (mosquitoes, ticks, fleas, and flies) but not stinging insects (bees, hornets, and wasps). 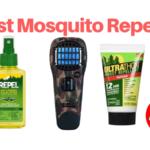 the repellents are suitable for mosquitoes, but if we go to any establishment, we will see for sale a whole range of possible repellents and is these insect repellents are marketed in many different ways: aerosols, sprays, liquids, creams and bars. some repellents are made with chemicals; others contain natural ingredients. Given this diversity, what anti-mosquitoes can I use? 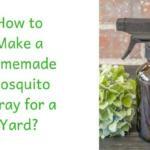 What is the best mosquito repellent available? Repellents are substances that are applied to the skin and clothes or other things like tents which interfere with the chemical receptors of insects preventing them from deciding the exact location of the surface where they will perform the bite. Let’s say that the mosquito no longer correctly detects “the smell” of a human or know where they have to perch to bite. These products only act when the mosquito is close to its target. N, N-Diethyl-meta-toluamide, known as DEET, is the most common ingredient in insect repellents. They are available in lotions, creams, and sprays. However, precautions should be taken when applied to children. It is considered the best defense against stinging insects. It can be used on the skin or clothes, and its protection lasts two to five hours depending on the concentration of the DEET ingredient in the product (two hours, 10% concentration, five hours, 24%, a density higher than 30% does not offer greater efficacy or protection). The AAP recommends that repellents used in children should not contain more than 30% DEET. Nor are these insect repellents recommended for children under two months of age. There are plenty of DEET-based repellents which the 3M Ultrathon Insect Repellent Lotion comes as the best in the market. Its controlled released technology which ensures a long-lasting effect under a devastating condition makes this product win the top spot anywhere, anytime. The 3M Ultrathon Insect Repellent Lotion has a low percentage of DEET which means you don’t worry about its family use. 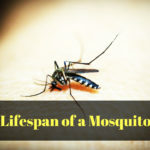 Being tested thoroughly, as said by the manufacturers, and having plenty of good reviews proves more that this product stands top among DEET-based mosquito repellents. these “tormentors” can transmit diseases such as malaria, experts recommend special protective sprays with the active ingredient DEET. the remedy prevents mosquitoes from perceiving and attracting human smells for up to eight hours. And so convincingly that the World Health Organization recommends explicitly DEET-containing products in areas at risk for the prevention of malaria or dengue fever because insects transmit both. The lemongrass-derived citronella oil is found in many herbal repellents and is sprayed on the skin or rubbed in the form of creams. Its duration of action lasts one to one and a six hours and is therefore not sufficient for one night. Due to the high concentration, it is advised not to use it for sensitive children’s skin. The following plants also contain substances that repel mosquitoes: eucalyptus, catnip, geranium, bergamot, walnut, fresh laurel, tea tree, tomato, aniseed, lavender, sage, cinnamon, camphor, sandalwood and lemon balm. A few drops of the oil on a cloth or clothing, it should be tested in advance how the fuel behaves on the fabrics, not that there are ugly spots. In a fragrance lamp or above a warmer, the rising steam is more intense than the pure oil. Due to the active concentration, it is advised never to give essential oils to the skin undiluted, especially to sensitive baby skin. The fragrances can also be used well in homemade vegetable oil candles. The REPEL Plant-Based Lemon Eucalyptus Insect Repellent just as its names says is a mosquito repellent based on the lemon plant extract—eucalyptus. This DEET-free product tops the list of well-produced natural mosquito repellents. It can last up to six hours, a great feat achieved for a plant-based insect repellent. The manufacturers of this product thought it would be an additional blessing to its users if this product has a sweet scent, and the added it ensuring consumer satisfaction who can’t deal with bug spray smell. Another factor worthy of note is that this product is not sticky in any way, unlike most other natural or plant-based insect repellent products, the REPEL Plant-Based Lemon Eucalyptus Insect Repellent isn’t sticky. This sticky effect makes the face of many plant-based mosquito consumers frown, but with this product, there isn’t any reason for frowning—well except your outdoor fun-time isn’t going as planned. Electronic repellents have been a favorite of many new-age households. This is because electronic technology has overtaken almost the globe, and there is no going back on it. With electronic repellents, you just have to switch on, then let it do its work. It has plenty of advantages lie, no smell, no noise, and can last for a long time to name a few. Below we will discuss the best electronic repellent. The Thermacell MR-TJ mosquito repellent with Realtree Xtra Green camouflage effectively repels mosquitoes by creating a 15-foot protection zone. This small game-changing device can be carried practically anywhere to repel annoying mosquitoes. Ideal for use in camps, fishing, gardening, hunting, around the yard and more. The Thermacell mosquito repellent products are powered by a Thermacell fuel cartridge that directs heat to a small mat impregnated with the Allethrin repellent, a synthetic version of a natural repellent found in chrysanthemum flowers. allow 10-15 minutes to form a complete zone of protection around the unit. Thermacell products are safe, effective and come with a 100% satisfaction guarantee. With Thermacell, turn it on, and the mosquitoes are gone! Different circumstances require different approaches, ultimately, space, the need, the health consequences, and the impact decide on the method used. In some people one effective remedy may help, but not in another. And there are people for whom nothing helps, except to keep the mosquitoes out of the rooms. The following alternatives you can save yourself, though they are useful is; Midge bracelets with essential oils, electronic mosquito repellents with ultrasound, smartphone apps, insect killers with UV light, cigarette or campfire smoke, garlic exhalations, and lemons peppered with carnations. it is not recommended to expose children under the age of three to anti-mosquito products. From the age of three, there are special funds suitable for children. Use the more effective chemical agents only when the situation becomes unbearable or when there is a high risk of infection. Finally, these defences offer no security against infectious diseases caused by mosquitoes in risk areas. The tropical physician or the tropical institute are the right contacts for this and provide advice on the most effective means of transmitted diseases such as malaria and dengue fever. To protect against mosquitoes, attaching fly screens in front of the windows helps. Another option for the night is to sleep under a mosquito net. This should best have only one opening. Suitable for children and babies are adequate mosquito nets, which can also be placed outside over the stroller or crib. 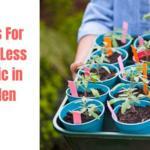 However, if you want to know how to get rid of mosquitoes in yard check this post. On perfume, strong smelling deodorant and softener are to be used. The fragrances could attract the beasts. But even lousy smell, such as sweat or smelly socks attracts the bloodsucking pests. Travellers in South America know the ever-present smoke fires in jungle villages. The smoke keeps the mosquitoes at a distance, and some travellers always have a cigar in their mouths. “Holy” sage burning in the Native Americans not only have a mystical meaning but act against the mosquitoes, because they shy away from the smell. In our apartments, we can grind dried sage leaves and ignite them with charcoal in a fire bowl. The sage glows slowly, and also garlic, hung in the room, keeps mosquitoes away. Mosquitoes like neither garlic nor cabbage smell. The diet should, therefore, be rich in thiamine (vitamin B1). This is mainly contained in cork products, walnuts, legumes, salmon, potatoes, broccoli and asparagus.